Virgin Games executed a Direct Mail Campaign and posted out a Limited Edition Gift Pack to all of their clients to communicate the launch of their new look and features. 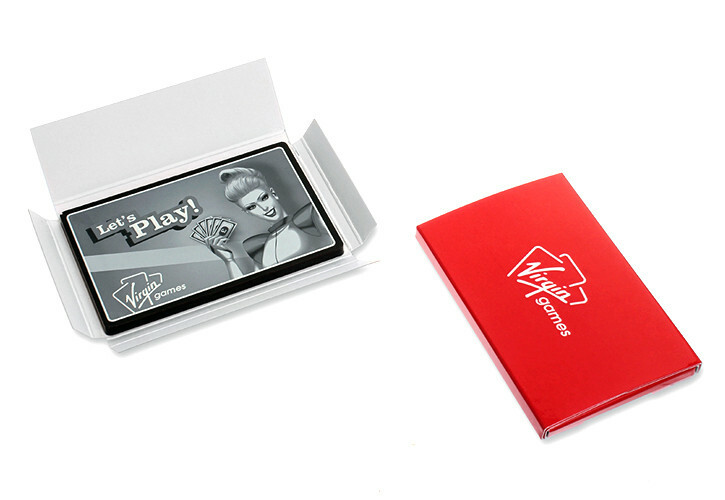 The promotional chocolates were used as part of a Direct Marketing drive to increase awareness around Virgin Games’ new look and mascot, as well as a host of new features and games. The Gift Pack included a letter, free scratch-card, a pack of playing cards and a Virgin Games branded chocolate made by Chocart.